"Do not use tax reform to weaken or repeal the Johnson Amendment, which keeps divisive partisan politics out of nonprofits, houses of worship, and foundations. I am concerned that efforts to repeal or weaken the Johnson Amendment would harm my community and damage the public's trust in my organization and many other groups doing good work in the Representative’s district. Thank you!" How to Make the Call: Simply call the Capitol switchboard (202-225-3121) and ask for your Representative’s office. If you’re not sure who your Representative is, go here to enter your zip code or here to review a list of Representatives. 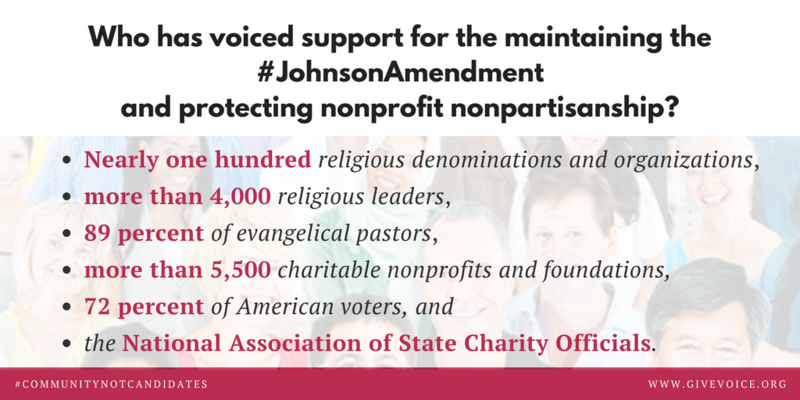 Feel free to include the image below, select from a variety of other images, or create your own to express how important the Johnson Amendment and remaining nonpartisan is to your nonprofit’s mission. The approval last week by the House of Representatives of the Senate-passed budget resolution for FY2018 clears the way for swift action on rewriting the federal tax code. The budget resolution, which is largely non-binding, calls on the House and Senate tax committees to present tax reform bills that can reduce federal revenues by as much as $1.5 trillion in the form of tax cuts. The resolution enables Congress to pass tax reform legislation with a simple majority vote of the Senate, rather than the 60 votes that are typically required for the Senate to act on legislation. The House Ways and Means Committee is expected to release its tax reform plan on Wednesday, November 1, and the Committee is scheduled to start marking up the draft on Monday, November 6. The Senate is expected to release its separate version in mid-November. In advance of the release of Republican-only tax plans, Democrats in Congress have published Middle-Class Tax Reform Principles that acknowledge the need for reforming the tax code while seeking to focus changes on the needs of middle-class taxpayers. The eight broad principles cover several key priorities, including: assisting middle-class families with the high cost of dependent care; ensuring a secure retirement for American families; closing the skills gap; expanding infrastructure investment and enhancing economic development; and strengthening the competitiveness of American businesses in the global economy. Revisions to the Johnson Amendment: Ways and Means Committee Chairman Kevin Brady (R-TX) said earlier this year that he intends to include repeal of the Johnson Amendment in his tax reform bill. Despite the clear and overwhelming support for current law expressed by many thousands of leaders of nonprofits, houses of worship, and foundations, significant numbers of Representatives appear committed to politicizing charitable organizations. Senate rules will make it difficult for revisions to the Johnson Amendment to pass there as part of the budget reconciliation process, but political goals may override solid, well-tested policy. Charitable Giving Incentive: The tax reform framework calls for nearly doubling the standard deduction to $12,000/individual and $24,000/couple, effectively reducing the availability of the charitable giving incentive to only five percent of taxpayers. In A very unhappy 100th birthday for the charitable deduction in The Hill, Tim Delaney explains how the Republicans’ tax reform framework would adversely impact the work of charitable nonprofits and makes the case for a universal deduction for all Americans. A bill (H.R. 3988) introduced by Representative Mark Walker (R-NC) seeks to address the concerns of nonprofits by providing a deduction with a cap of up to one-third of the standard deduction ($2,100/$4,200 current; $4,000/$8,000 after reform) for taxpayers who do not itemize. The tax committee draft could include this measure, take an alternative approach, or ignore the serious concerns of the organizations that are working in communities. Estate Tax: Full repeal of the federal estate tax, a matter of Republican campaign doctrine for years, may yield to economic reality and appearances that such reform benefits the very wealthy. Finance Committee Chairman Hatch (R-UT), one of the six officials writing the tax reform framework, has since said that the Committee is looking at increasing the threshold rather than repealing the tax that generates $18 billion per year for the federal treasury. The federal estate tax currently doesn’t apply to estates of individuals of less than $5.5 million and couples of less than $11 million. State and Local Taxes: In a partial reversal, the forthcoming bill is expected to repeal the itemized deduction for state and local income taxes (SALT), but still allow taxpayers to deduct the property taxes they pay. The original plan to repeal all SALT deductions, which are claimed by about 43 million taxpayers, was expected to generate $1.3 trillion in revenue over 10 years; the retention of property-tax deductions lowers that estimate to about $900 billion in new revenue and creates a $430 billion “cost” of tax reform. Pay-For Provisions: The $1.5 trillion deficit authorized by the budget resolution is only a portion of the $5 trillion in tax cut ideas that have been floated in recent years. To make more costly tax changes, Congress will have to come up with many more tax changes than discussed above. For example, the chairman of the House tax committee suggested that the tax legislation still could reduce tax benefits of 401(k) retirement plans, despite a tweet to the contrary by President Trump. Nonprofits are watching a number of other potential tax changes that could affect their bottom line and ability to advance their missions, including the following: revisions and increases in unrelated business income tax (UBIT) rules, donor-advised fund payout requirements, and imposition of intermediate sanctions excise taxes on nonprofits that provide excessive benefits to certain insiders. The leaders of the Senate health committee have reached bipartisan agreement on legislation to fund cost-sharing payments that President Trump cancelled, while providing flexibility for state waivers and expanding eligibility for catastrophic health plans providing basic coverage. The bill is spearheaded by Senators Alexander (R-TN) and Murray (D-WA), the Chairman and Ranking Member of the Health, Education, Labor and Pensions Committee, and has 22 Senate sponsors, 11 Republicans and 11 Democrats. The legislation would reduce the deficit by nearly $4 billion by 2027 and not substantially impact the number of people with health insurance, according to Congressional Budget Office analysis. A bipartisan group of ten governors is calling on Congress to stabilize the health insurance markets, stressing that market stabilization is “one of the primary areas where Congress can take action to ensure that consumers have affordable health care options.” Action on the bill is uncertain, however, because of lukewarm support from Speaker Ryan and President Trump. Other legislators are proposing connecting the funding for the subsidies with relief for the individual and employer mandates, placing further strains on negotiations and momentum. Local Update of Census Addresses (LUCA) Deadline Approaching: Tribal, state, and local governments only have until a December 2017 deadline to register for the Local Update Census Addresses operation and review the U.S. Census Bureau’s residential address list for their jurisdictions for the 2020 Census. Participation in LUCA is a local government’s best opportunity to help “ensure an accurate decennial census count for their communities” and proper allocation across the country of more than $400 billion in funds. All active, functioning governments are eligible to submit comments, including federally recognized tribes, states, counties, cities, and townships. Comments Due November 1 on Proposed Accounting Rules Changes: The Financial Accounting Standards Board (FASB) is seeking public comments on a draft Accounting Standards Update (ASU) for recognizing revenue from grants and contracts (Topic 958). The proposed revision is intended to improve and clarify the distinction between “contributions” and “exchange transactions” for nonprofit organizations to encourage greater consistency in how nonprofits account for the revenue. If approved, it is likely that more grants and contracts will be considered contributions, which would then need to be categorized as either conditional or unconditional to apply the proper accounting procedures. A conditional contribution under the proposed revision is typically what nonprofits currently refer to as an exchange transaction or contract. As a result, the draft makes the curious assumption that a government entity does not receive reciprocal value from a nonprofit providing services on its behalf (which is why it is not considered an exchange transaction). 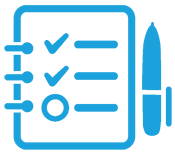 FASB is seeking public comment on the proposed changes until November 1, 2017. IRS Updates “Insubstantial Donor Benefits” and Flexible Spending Account Cap for 2018: The IRS has slightly increased the thresholds for certain types of insubstantial benefits that nonprofit donors can receive without affecting the deductibility of their contributions. See Revenue Procedure 2017-58 (pages 18-19). The same document announces that the IRS has increased the maximum amount employees can put into health care flexible spending accounts to $2,650 for 2018, a $50 increase over the cap for 2017. 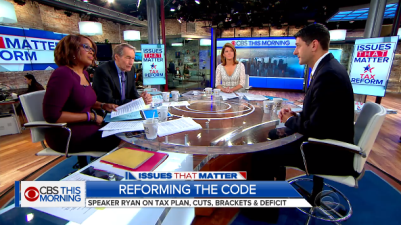 “I think identity politics has gotten out of control in this country,” Speaker of the House Paul Ryan (R-WI) said in response to a question on bigotry and identity politics during an interview on CBS This Morning on October 20. By “identity politics,” Ryan explained efforts of “trying to divide citizens against one another for some political gain and that it is a political tactic that unfortunately has been tried over and over and much more lately.” He hastily stressed, “I think it is wrong” and that “it’s being played on the left and on the right.” Ryan shared a litany of the divisive tactics: “it seeks to exploit fear,” “to exploit ignorance, and it seeks to exploit differences among people and to prey on those people.” A new report from the Pew Research Center exploring the growing partisan divide would agree; political tactics appear to be effective in further dividing Americans on partisan lines, as the gaps on several sets of values – including the social safety net, race, immigration, national security, and the environment – have increased dramatically. Asked what he thought the country needs to do to move beyond identity politics, Speaker Ryan said “I think we need to revive civil society. We need to revive community groups. We need to get people to reintegrate with each other.” Perhaps without intentionally doing so, that solution appears ready-made for the community problem-solving talents of nonpartisan charitable nonprofits. And the solution provides further evidence of why the legal protection of the Johnson Amendment must stay in place so 501(c)(3) organizations remain nonpartisan to heal civil society, not be a source of further harmful division and animosity. The last two states without formal spending and revenue plans for the current fiscal year are struggling to reach agreement nearly 120 days after the beginning of the fiscal year. The Connecticut General Assembly passed a bipartisan biennial budget last week after a month of negotiations between the leadership of Democratic and Republican caucuses in the House and Senate, following the Governor’s veto of another budget last month. Governor Malloy has not yet announced whether he intends to sign or veto this latest spending plan, but the votes in the House and Senate exceeded the threshold to override a potential veto. The Pennsylvania Legislature passed and is awaiting sign off from the Governor on a fiscal code bill to implement the overall budget for FY18 that began on July 1. The measure would provide the parameters for disbursements and help close the $2.3 billion state deficit. In July, Governor Wolf allowed a $32 billion budget to go into effect without his signature to avert a government shutdown. The current bill sent to him is the pay-for side of the budget process in the Commonwealth that typically accompanies the budget. Sales Tax: Voters in Tucson, Arizona on November 7 will decide two local ballot measures that propose increasing sales taxes to benefit the local zoo and fund early childhood education. Earlier this year, the community voted to approve new taxes to fund local roads and public safety. Polling suggests that the zoo-funding measure will pass, but there appears to be organized opposition to the early childhood education initiative from outside groups, including Americans for Prosperity, an anti-tax lobby. Volunteer Tax Credits: States and localities are considering tax incentives, including tax breaks, for rural community volunteers. The Borough Council of Morton, Pennsylvania provides volunteer emergency first responders a 20 percent property tax break. The local measure may be copied in other neighboring localities because of a 2016 Pennsylvania statute that enabled localities to provide such relief. This approach, however, does not go as far as Connecticut’s benefits for emergency service volunteers (such as volunteer firefighters and ambulance drivers) that allow municipalities to provide property tax relief, group health insurance, tuition waivers, protections against discrimination, and worker’s compensation coverage. A new bill in the North Carolina Senate would place a constitutional amendment on the 2018 primary ballot to shorten the terms in office for state judges to two years. Currently, District Court judges serve for four-year terms, and Supreme Court justices, Court of Appeals judges, and Superior Court judges serve for eight-year terms. If the General Assembly approves this change and it receives a majority vote on the ballot in spring 2018, all state court judges would be up for election in November 2018. The General Assembly could take up this bill, along with other potential state constitutional amendments, when it returns for a special session in January. The North Carolina Center for Nonprofits is very concerned that the bill, if approved, would politicize the courts, disadvantage North Carolinians and nonprofits in judicial matters, and undermine the separation of powers in the state. The New Mexico Attorney General filed two lawsuits earlier this month against two nonprofits purporting to serve veterans and Social Security benefit recipients. The action alleges 28 counts of illegal activity, including mail fraud and money laundering. Federal criminal charges may also be pending after a yearlong investigation by the Internal Revenue Service. The New Mexico Attorney General also plans to seek additional funding from the Legislature for oversight and law enforcement against charitable nonprofits and those pretending to be nonprofits. The tax reform and budget news in this edition of Nonprofit Advocacy Matters shows that government actions, taken without regard for the impact on the work of charitable nonprofits, can result in disastrous adverse consequences. Indeed, as reported in the sidebar, nonprofit leaders in Montana and New Jersey are having to remind lawmakers that the assets of nonprofits and foundations can never fill the gaps when governments walk away from commitments. But even as major public policy issues are raging, state associations of nonprofits are partnering with governments to solve problems bedeviling the nonprofit community and the people they serve. Problem: Smaller nonprofits have limited access to affordable retirement savings plans for their employees, which limits their ability to attract and retain workers. A Solution: Nonprofits in Massachusetts employing 20 or fewer workers may now take advantage of a new statewide 401(k) retirement plan with minimal fees and charges often associated with savings plans. The Massachusetts Defined Contribution CORE Plan is a concerted collaboration between the Commonwealth’s Office of the State Treasurer and Receiver and the Massachusetts Nonprofit Network. The Treasurer’s Office will now be providing administration and oversight on behalf of participating employers, as well as fiduciary assistance, professional investment options, and automatic enrollment under the plan. Resulting from legislation approved in 2012, the CORE Plan's goal is to enable smaller charitable organizations to focus more on their missions and less on cumbersome paperwork. By providing comprehensive retirement benefits for employees, the CORE Plan is also expected to make nonprofits more competitive in the job market. The joint government-nonprofit sector program is believed to be the first of its kind in the nation. Problem: Governments at all levels pay nonprofits late for the services they provide on behalf of governments, forcing the charitable organizations to borrow funds to cover costs as they await payments. A Solution: This month, Maryland announced the launch of the new NIMBL Account (Nonprofit Interest-free Micro Bridge Loan) Revolving Loan Fund that is designed to help nonprofits that aren’t getting paid on time by local, state, or federal governments. The enabling legislation was the brainchild of Senator Cheryl Kagan and Maryland Nonprofits, the state association of nonprofits in the Old Line State. The bill’s purpose is to “foster, support, and assist the economic growth and revitalization of qualifying nonprofit entities in the State by providing training and technical assistance services and bridge loans to nonprofit entities that have received written confirmation of funding from government grants or contracts but have not yet received the funding.” The NIMBL Account is a new fund established within the larger Maryland Nonprofit Development Center Program Fund and housed at the Maryland Department of Commerce. Political dysfunction may be prevalent throughout the country, but nonprofits committed to their missions continue to identify problems and find government partners willing to work together and develop solutions. “A very unhappy 100th birthday for the charitable deduction,” Tim Delaney, The Hill, October 20, 2017, explaining the adverse impact of the tax reform framework by the majority party in Congress and the White House on the work of charitable nonprofits and making the case for a universal deduction. “Why Nonprofits Should Weigh In on Proposals to Repeal Estate Tax,” Patrick Rooney, Professor of Economics and Philanthropic Studies at the IU Lilly Family School of Philanthropy, Nonprofit Quarterly, October 23, 2017, providing an academic review of the rationales for and against the federal estate tax. 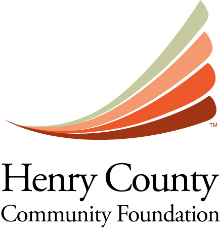 - Comment by the Henry County Community Foundation, New Castle, Indiana, when signing onto the Community Letter in Support of Nonpartisanship, a letter signed by more than 5,500 organizations from every state and every segment of the charitable and foundation communities. See who is new on the letter. Add your organization’s name. - Brian Kaylor, Unethical Polling & Church Politics, October 17, 2017, exposing the attempt by the lobbying group Alliance Defending Freedom to mislead the public and Congress by paying LifeWay Research to use questions so slanted that the “findings” were polar opposites of numerous neutral polls that prove the public’s strong support for the longstanding law known as the Johnson Amendment to keep divisive partisan politics out of houses of worship, nonprofits, and foundations. - Representative Tom Reed (R-NY), quoted in “Compromise on State, Local Tax Deduction Eludes GOP” (paywall), CQ, October 24, 2017, exhibiting the perspective of many in Congress that during the tax reform process various tax policies have less to do with substance or impact in communities and more to do with meeting arbitrary numbers. Legislature and governor must go further together, Danica Jamison and Susan Hay Patrick, Bozeman (MT) Daily Chronicle, October 22, 2017, citing the Montana Nonprofit Association annual conference for inspiration, the local United Way leaders call for new revenues in this tax-hostile state to address the growing budget crisis caused by low revenues and looming spending cuts from all levels of government. 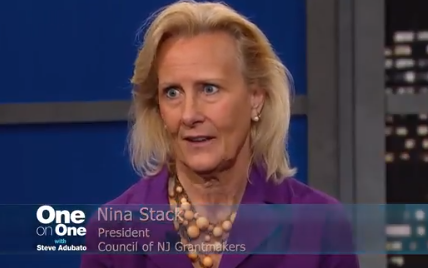 How NJ Philanthropy is Affected by Government, Nina Stack, President & CEO of the Council of New Jersey Grantmakers, discusses the challenges foundations face when the federal government cuts funding. 5 Government Trends to Watch, Katherine Barrett & Richard Greene, Governing, October 2017, identifying trends of worsening budget struggles, underfunding of infrastructure, cybersecurity issues, and the stabilizing of public pension costs as significant challenges that state governments, and the organizations upon which they rely, will confront for the foreseeable future. Tuesday, November 7, 2017, is Election Day for statewide and state Senate and Assembly races in New Jersey and Virginia, plus hundreds of other seats across the country ranging from mayors and city councils to courts and school boards, as well as ballot measures. Sources: Ballotpedia, League of Women Voters, and Nonprofit VOTE. Are You Benefitting from Federal Grants Reforms? Late in 2014, the federal Office of Management and Budget (OMB) streamlined federal grants law into its Uniform Guidance that, among other things, provides that nonprofits are entitled to be reimbursed by local, state, and federal governments for some or all of their indirect costs when federal money is in the funding stream. Two and a half years later the big question is, Is it working? If your nonprofit has government grants and/or contracts, please take a few minutes to complete the confidential Nonprofit Uniform Guidance Implementation Survey.